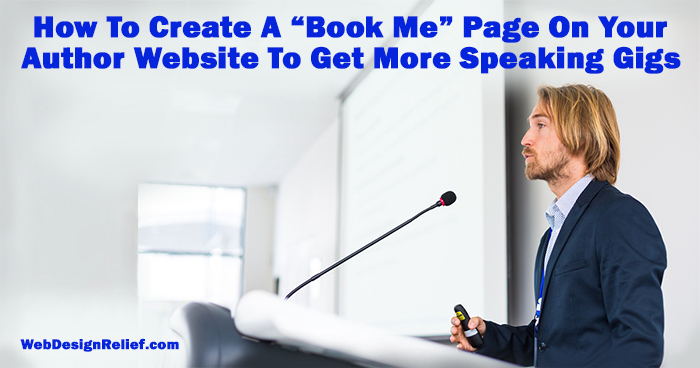 As the literary world becomes more and more connected online, an author website is a great way for short story writers to share their work with readers and publishing industry insiders. But it’s very important to know the RIGHT way to showcase your short stories online. You may be excited to share your short stories online, but Web Design Relief has one very important caveat that you must not ignore: If you want to get a story published by a literary journal, do NOT put the entire story on your author website. If you do, that story is now considered published. It doesn’t matter that it’s your own website. It doesn’t matter that only three people read it online and one was your aunt Tilly. If it’s on your author website, congratulations—the story is officially published, and most editors do not want previously published work. Post only short stories written specifically for your online audience. These are stories that you do not intend to submit to literary journals for publication. Post short stories that have already been published. 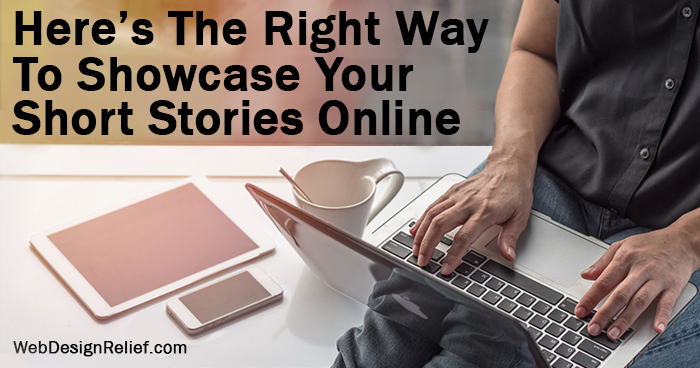 Once the rights revert back to you, you can post a story on your author website that has already been published. Be sure to give credit to the literary journal that first published your story. You can also post a link that will take your visitors to the online magazine where your short story appears. In fact, whenever you have a new story appearing in a journal, posting a link on your author website and social media is a great way to cross-promote! Post an excerpt from your short story. An excerpt (a few sentences or one paragraph) can act as a great teaser to build interest in your short story. On social media: While most social media accounts have a word limit, you can post a brief blurb/excerpt from your short stories with a link to your author website or the journal where they can read the full story. Be creative, and your post might even go viral! On your blog: You can feature a few sentences from an upcoming short story or a brief, captivating summary on your blog. Be sure to always announce whenever you have a short story accepted by a journal, and offer your readers a link to the literary magazine once the story is published. You can also include details about your writing process and the ideas that inspire your short stories. With an image gallery: Image galleries are an essential and eye-catching element that can engage visitors on your author website. PRO TIP: You can use an image gallery to showcase your short stories in a way visitors might not expect! Fill your image gallery with cover art from the literary journals that have published your work. In your list of publications: Rather than trying to post all of your published short stories on your website, offer readers and editors an easy way to see the full scope of your publishing history. A website page dedicated to your list of publications is a great way to outline your short story publishing credits and provides a one-stop shop for fans who want to read more of your work. 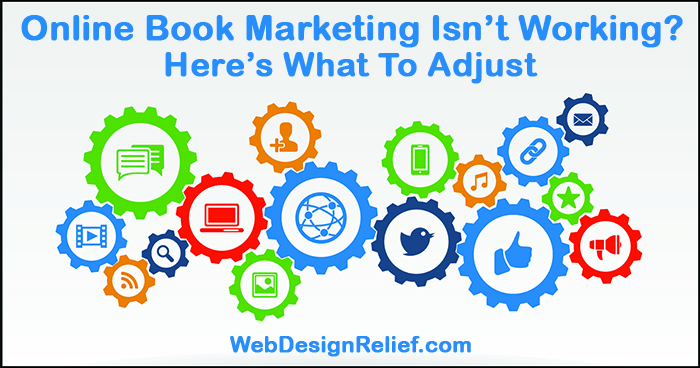 Via your mailing lists: A mailing list is an easy way to stay connected with your readers and fans. Whenever you have a new short story published in a literary journal, or when you “self-publish” by posting a short story directly to your author website, you can send an alert to your entire mailing list. You can even use an exclusive short story as an incentive for people to sign up for your mailing list! Remember, as long as you follow these tips and guidelines, you’ll be able to effectively boost your fan base and readership—without losing your opportunity to publish your short stories in literary journals. Question: How do you boost readership of your short stories online?